Obviously I'm not the first to bring this to anyone's attention—I may even be the last to bring it to yours. (See VOGUE and Man Repeller.) 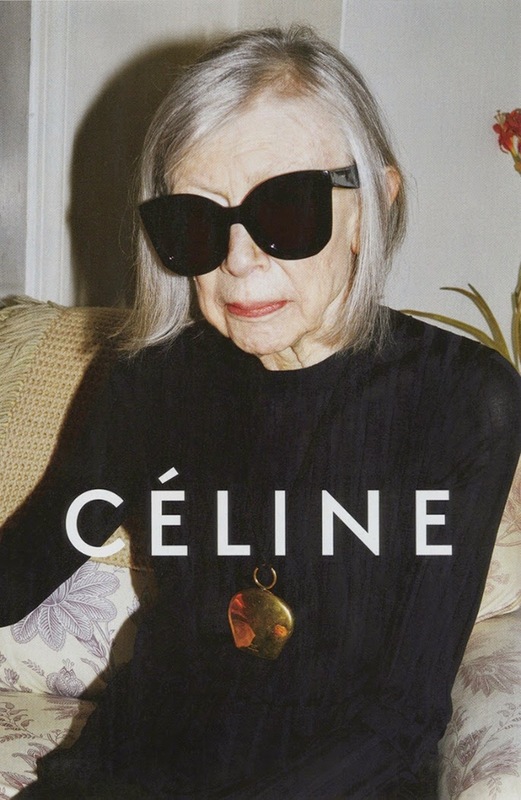 However, the selection of Joan Didion as Céline's Spring 2015 advertising muse is so deeply, painfully cool that I couldn't resist sharing it myself. It's a pairing that totally makes sense, no one can deny that. Céline is a fashion line that represents everything that is sleekly modern, simple, and purposeful—and sets all trends worth following. Joan Didion is a woman and an author with the same brilliant, inspiring, smart female power as Phoebe Philo. I'll leave you with a quote from Slouching Towards Bethlehem (her first collection of nonfiction essays, published more than 40 years ago), that feels just right for this first week back in New York City in 2015. A little something to remind us why this city has an energy and a seductive power, unlike any other.